After checking out many different, pricey restaurants, I settled on candle cafe for tonight’s dinner. Candle Cafe is by the same owners as Candle 79, only slightly less expensive, and more casual and with a similar menu. We got there about 7:30pm and our wait was 30-45 minutes, which I think is pretty reasonable for a Saturday night, anywhere. It’s a fairly small place, so it’s understandable. We were able to grab a stool at the bar, and the bartender was friendly, and let us know we could also dine there, but we wanted to wait for a table. The bar had wine, beer and juices. J ordered a beer while we waited. 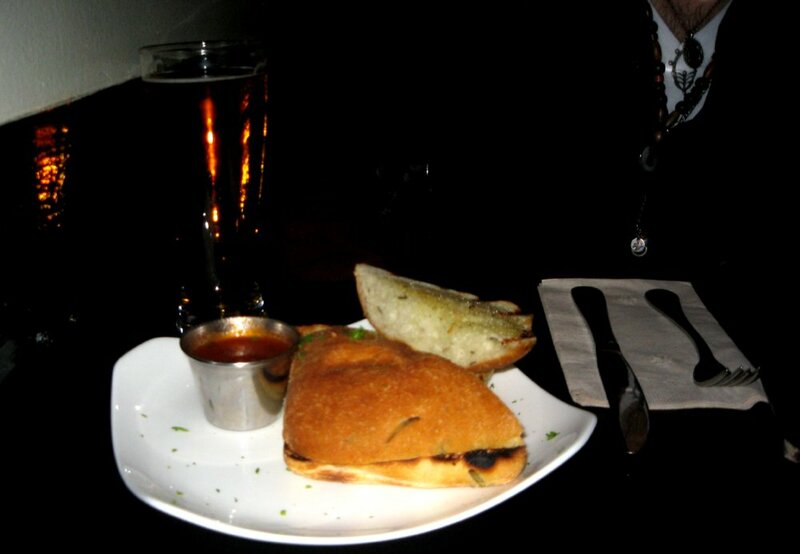 After a while, we also ordered some focaccia bread, and sure enough, our table opened right as the bread arrived. SCARECROW GOLDEN PALE ALE – (England) Creamy balance of malt and hops. it was tasty and light, and came in a 17 oz bottle for $9, which I thought was well priced for the size. GRILLED FOCACCIA – Served with miso-tahini spread or drizzled with roasted garlic olive oil. We got the garlic olive oil and honestly, focaccia it wasn’t, but it was delicious. What it reminded me of was the freshly grilled garlic bread you get at a cuban restaurant. OK, it was just like that, except on what looked like a ciabatta roll. SEITAN CHIMICHURRI – Citrus herb marinated seitan skewers. These were incredible, and honestly the thing the I wanted to try most on the menu. Being that they were cooked on a grill, they had a wonderful smoky, meaty flavor. The chimichurri sauce was SO delicious. I could have a meal centered around this offering very happily. 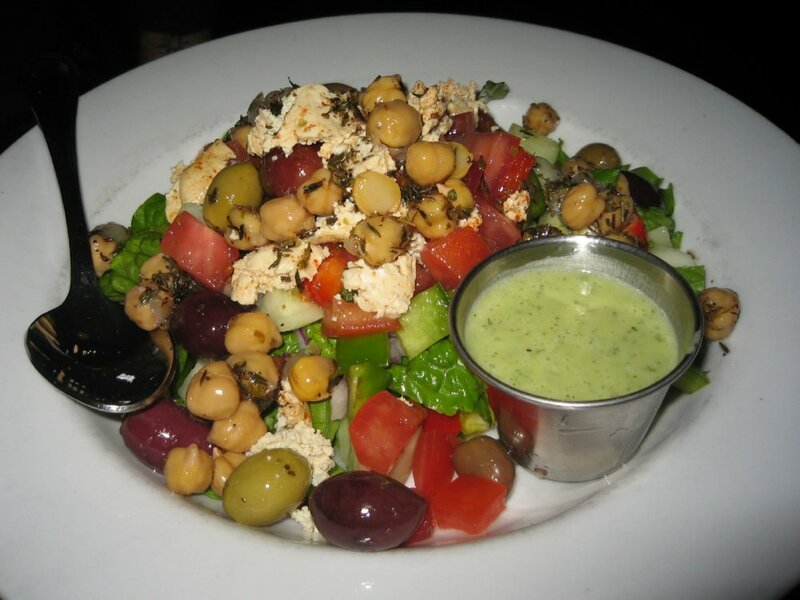 GREEK SALAD – Romaine lettuce, cucumber, tomato, marinated chickpeas, bell peppers,red onions and olives with tofu feta. Served with a creamy herb vinaigrette. Fantastic! I was very insistent on ordering this, and we were both really glad that we did. The marinated chickpeas were delicious, and so was the vinaigrette. The tofu didn’t taste like feta, but gave you the texture of it, still, yum! We only wished that the olives were pitted, to make eating them a little more elegant, but regardless, we polished off the whole thing! 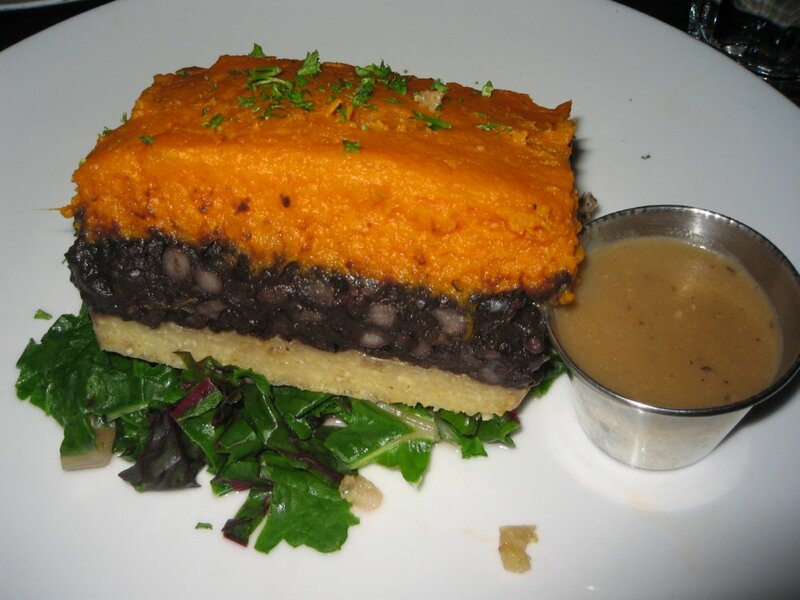 PARADISE CASSEROLE – Layers of sweet potato, black beans and millet over steamed greens with country gravy. 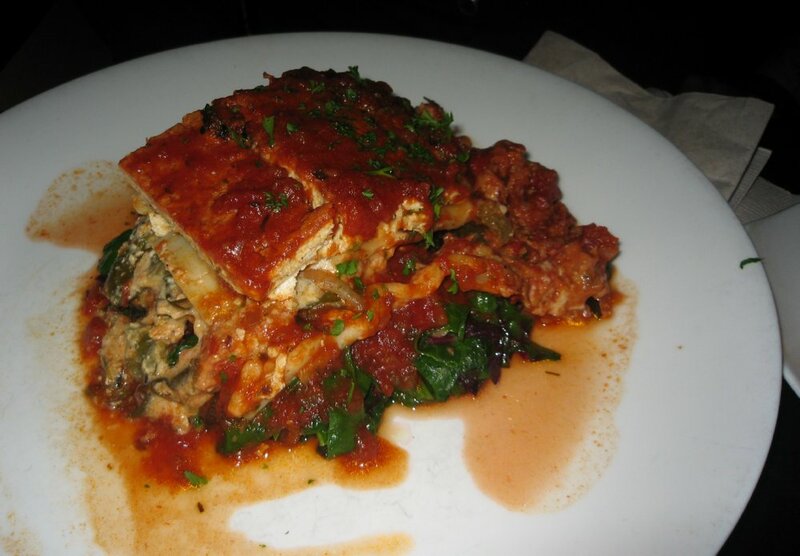 TUSCAN LASAGNA – Grilled zucchini, peppers and onions, tofu basil ricotta, tapioca cheese and seitan ragout topped with tomato sauce. Served with sautéed greens. It was okay, not terrible, but not terrific. The tofu ricotta still tasted pretty bland. It also came on a bed of delicious kale. We also got an order of fries (not pictured), which we shared. Nothing out of the ordinary here. The ketchup was awesome, apparently Muir Glen brand, according to our server. 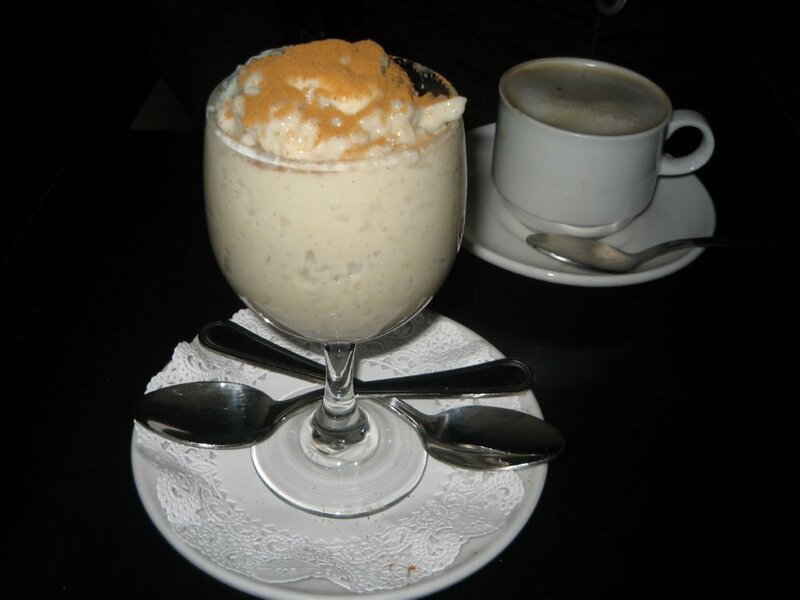 I’m not sure if they used brown rice or white, but this rice pudding was shockingly good! It came dusted with cinnamon, but the best part was the surprising very vanilla-y after taste. Clearly they use real vanilla bean in their pudding, as it was flecked with beans. It was great in conjunction with the vegan cappuccino. Some of that night’s specials that also looked good [on other people’s plates] were: the taco salad (huge! ), which I wanted but was trying to not order mexican food [for a change], and the fettuccine, which had mushrooms (i don’t eat mushrooms) but also lots of other yummies like capers. 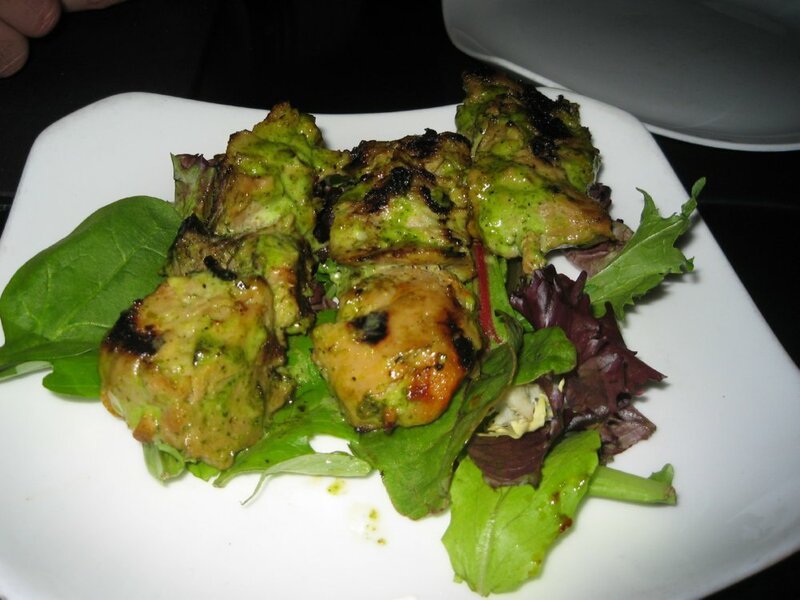 The service was excellent, and all of the staff was friendly, helpful, and courteous. I would definitely return.